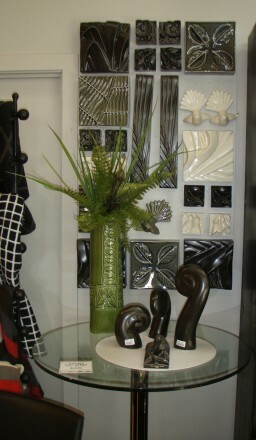 Tapa is the word associated with Pacific barkcloth. It is made from the pounded inner bark of various trees, such as the paper mulberry and breadfruit. Each island group has its own uses for tapa, applying unique patterns to represent distinctive concepts. The plastic nature of clay is often lost in the moulded production of pottery. With the Cuba series I endeavoured to bring a sense of the soft, plastic nature of the clay while making a bold and functional form. 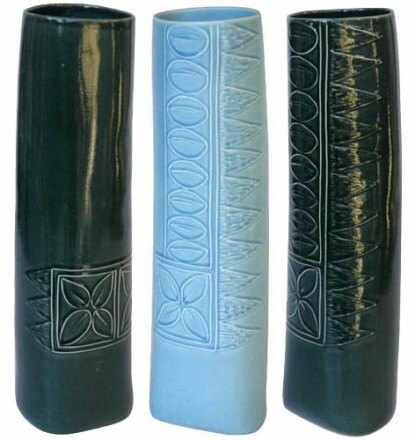 The Cuba Vase was made spontaneously by manipulating plastic clay. The clay was rolled out into a thick snake like roll, cut off and stood on end. My finger prints are still visible where the piece was lifted. From this core shape I fashioned the Cuba Jug and Cuba lights.